Obituary for Margie A. Connors | House of Wheat Funeral Home, Inc.
Margie Allen Pritchett Connors, age 73, of Dayton, Ohio, born September 27, 1944, in Maysville, Kentucky, passed away peacefully on Wednesday, September 5, 2018 in Raleigh, North Carolina. After graduating high school in Maysville Kentucky, Margie entered Nursing School at Appalachian Regional Hospital in Harlan, Kentucky and received her diploma as a Registered Nurse. She relocated to Dayton and worked at various hospitals before deciding to return to school for further education. She graduated from Central State University obtaining a Bachelor Degree in Education and later received a Master’s in Education from Wright State University in 1992. She was a dedicated teacher with 30 years of service at Miami Valley Career Technology Center teaching future Medical Assistants, Nurse Aides, and Nurses, until she retired in May of 2008. Her impact in the nursing community was evidenced by the many working nurses that were her former students that she crossed paths with throughout the years. Margie was an avid reader, enjoyed traveling, and gardening her beautiful flowers. She also loved to see any movie that was receiving Oscar buzz for nominations for that year. She loved spending time with all of her family, especially visiting with her sisters in Cincinnati and Covington and was nicknamed the “Big Bopper” as she often bopped (drove) down I-75. Preceded in death by her husband of 35 years, George Connors; parents, James Allen and Geneva (Pleasant) Pritchett; brothers, Billy Pleasant and Robert Pritchett. 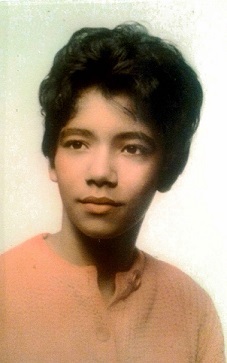 Survivors include her children, Robyne Rahim, Nicole Connors (Tracey Howard), and Jonathan Connors; sisters, Kay (Charles) Bolden, Bonnie Embry, Mary Pritchett, and Rita Henderson; grandsons, Amyr Rahim, Zakkaryia Rahim, and Qais Rahim; granddaughters, Ayesha Rahim and Maimoona Rahim; great grandson, Zakir Rahim; as well as many loving nieces and nephews. Mass of Christian burial 10:30 am Friday, September 14, 2018 at Precious Blood Catholic Church, 4961 Salem Ave. Visitation 9:30 am at which time family will receive friends. Interment Dayton National Cemetery. Arrangements entrusted to House of Wheat Funeral Home, Inc.